Why is there no thread about this?? You can even run a simulation of the sequencer via the website. Classy. 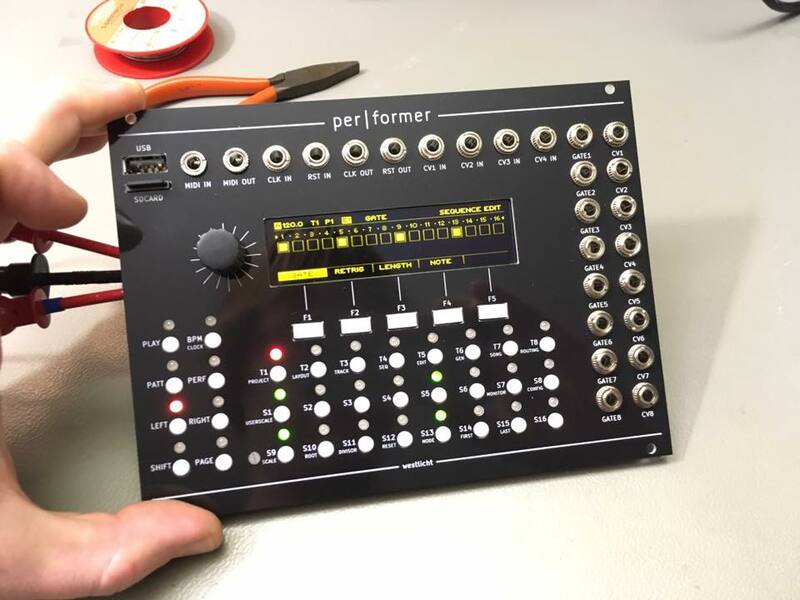 FWIW this is something that deserves to be discussed in the regular Eurorack section - the documentation is extensive and the project looks so well thought-out. If you can't DIY it, then ask someone here to do it. Looks awesome, and utterly bonkers insane for those of us with SMD challenged soldering skills. I don't think my eyes are good enough even with glasses to tackle that one. Wish my SMD skills where up to the task. 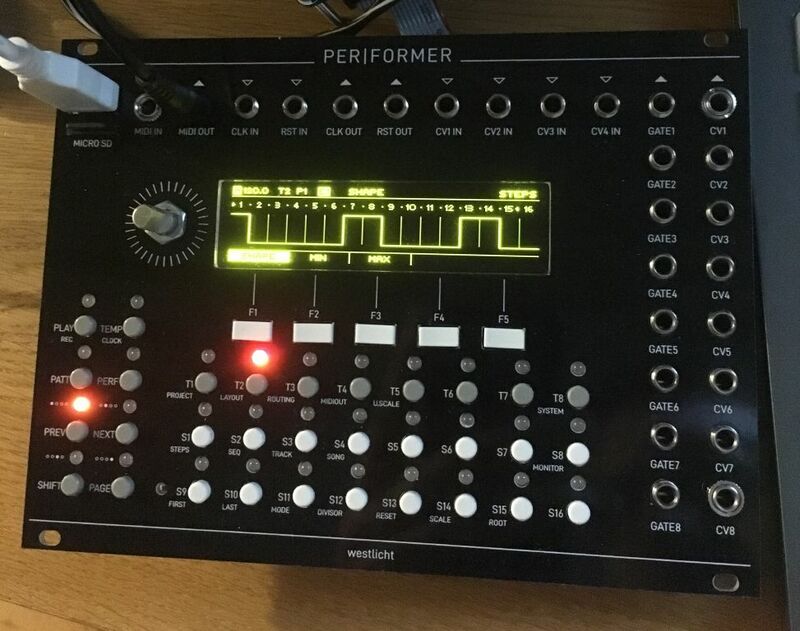 Yeah this is very interesting, just waiting on boards arriving from China post New Year break.......not a cheap build by any manner of means, but still a more affordable way to get what seems like a quality sequencer. If anyone has a spare board for this in the US lmk, seems pretty interesting. Are you going to have any boards up for sale? Please let me know if you’ve any corrections/augmentations. Also, this thing needs a decent frontal photo and ModularGrid entry. Also, this thing needs a decent frontal photo and ModularGrid entry. I think it's already there, just hidden under other/unknown manufacturers (link). Thanks for the confidence boost. I've just finished designing a 1u 104hp multiple-bus module with the main board in 0805 as a practice project to get into it. Ace! Thanks! Updated the comparison. this is an extremely interesting project. I'll never be able to tackle it DIY, but I'm sure that someone will build a few of those down the line. Cool thanks for the link - I didn't think the components were too bad, but mounting the panel was "fun"! we did reach out to the designer Simon to inquire about the possibility of arranging these for availability thru the webstore-- we very much hope so! This is a Great module! Simon has done a phenomenal job on the firmware. Some niggles with the hardware, but it's a lot of fun to play with, once completed, I have to say. I'm particularly enjoying using the Random Generator to make crazy patterns, and sequencing some of my old MIDI synths. Agreed toneburst, this is a great module, well worth building or cajoling a builder friend to build it for you. Wonder if I'm the only person using the MIDI output of the Performer. I not, has anyone else managed to get the Note/Gate/Velocity from different tracks working? I wanted to use Track 2 to generate Velocity for the sequence playing on Track 1. I've setup Track 2 as a Curve, track, and on MIDI Output 1, set Track 2 as the Velocity source. It seems to have no effect- I hear no variation in level of the notes generated by Track 1, even though the patch on my MIDI synth is has velocity mapped to note volume. 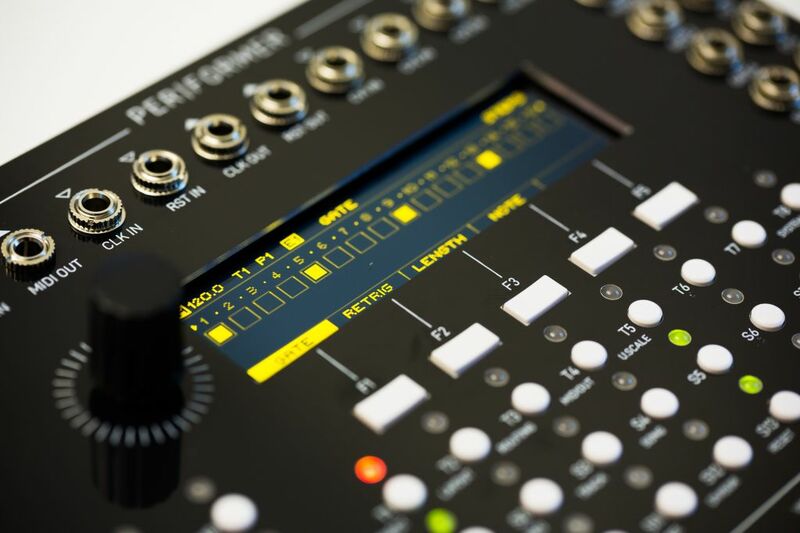 Very interested to learn more about the Midi controller implementation on this. I know the Launchpad is supported but what exactly will it do? There seems to be precious little info on this feature right now but for me it would be the golden ticket! I'm particularly interested in the ability to add note CV date via the pads rather than the more tedious method of turning the encoder per step. And given the Launchpad is only 8 columns does it 'follow' the sequencer over 16 steps (I guess by changing screen effectively)? What other midi controllers could be / are supported? For example the Monome GRID - would seem to be an obvious companion with its 16x8 pad format. Or a Midi keyboard for entering Note data? I know it is an open source project (which is really great) so maybe thats up to somebody who knows how to write the implementation code for other midi devices? Has anyone gotten slide working properly in a basic note track? I can switch it on for the various notes, and hear some kind of change in the sound, but nothing like what I'd expect or want. Is there some kind of setting i've missed? Looks awesome. I just wish I didn't appear to have Parkinson's while soldering so I could attempt something like this.